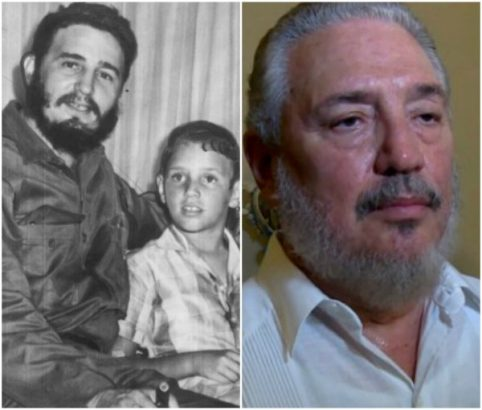 Nuclear scientist and eldest son of late Cuban revolutionary leader Fidel Castro,Fidel Castro Diaz-Balart also known as Fidelito or Little Fidel because of how much he looked like his father, committed suicide on Thursday 1st February, after being treated for months for depression. Fidelito who committed suicide aged 68, had the highest public profile of all Castro’s children and was born in 1949 out of father’s brief marriage to Mirta Diaz-Balart, before he went on to topple a U.S.-backed dictator and built a communist-run state on the doorstep of the United States during the Cold War. reuters.com gathered that through his mother, Castro Diaz-Balart was the cousin of some of Castro’s most bitter enemies in the Cuban American exile community, U.S. Representative Mario Diaz-Balart and former U.S. congressman Lincoln Diaz-Balart.